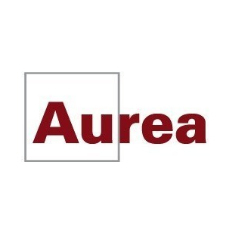 Aurea Email Marketing is an email marketing solution that includes email automation, content scoring, delivery monitoring, and campaign analytics. The solution is available in two configurations: the cloud-based version is LyrisHQ and the on-premise version is Aurea List Manager. CX Messenger is a messaging platform that taps data from applications to build comprehensive experiences for customers and employees. CX Messenger is part of the Customer Experience Platform which helps customers build, execute, monitor and optimize the end-to-end customer journey. CX Monitor is a monitoring platform that delivers the real-time system monitoring and resolution tools to identify issues, and understand root-causes across any system. CX Monitor is part of the Customer Experience Platform which helps customers build, execute, monitor and optimize the end-to-end customer journey. CX Process is a process platform that provides the building blocks needed to create multi-channel customer journeys, bring them to life, and measure their impact continuously. CX Process is part of the Customer Experience Platform which helps customers build, execute, monitor and optimize the end-to-end customer journey.